Soon after we moved into our new ward we were asked to serve on a stake committee for a high priest and partner dinner. Not the kind of assignment you want when you don’t know anyone. We went to the first committee meeting and the Stake Relief Society president walked in with a big armful of colored tissue paper. I was determined to go home with the paper and not an assignment to ask people to help. 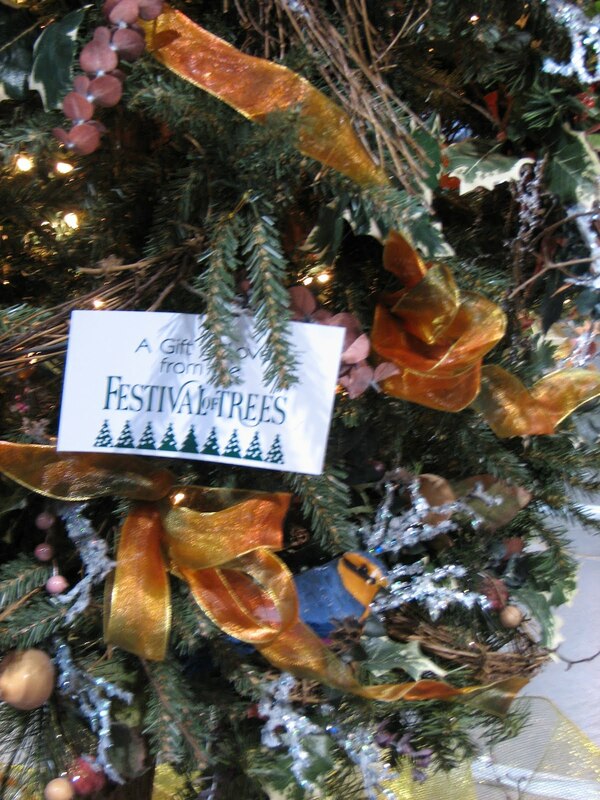 We were glad to get the assignment to help with decorations. 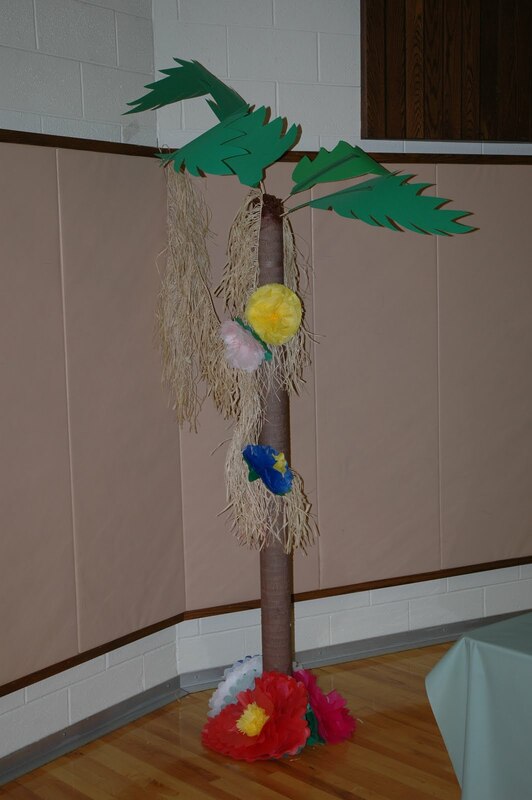 I was to make flowers and Mark volunteered to make palm trees. I guess we both go a little carried away. 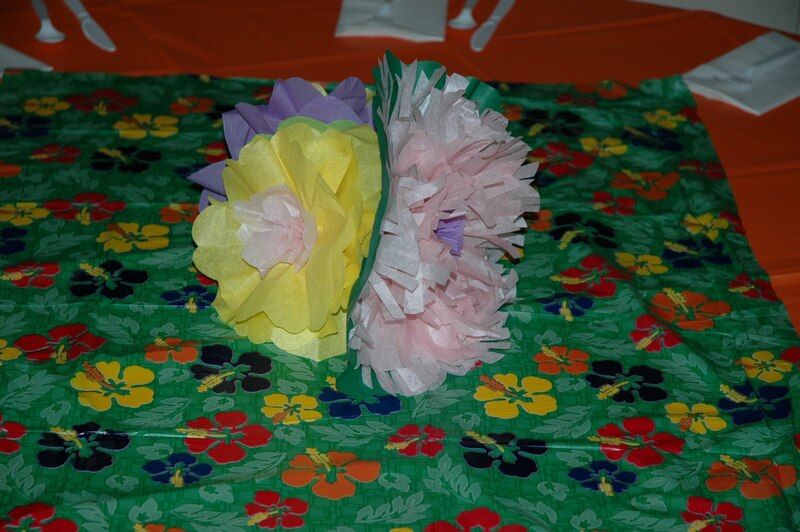 I made over 100 flowers and wait until you see pictures of what Mark made! 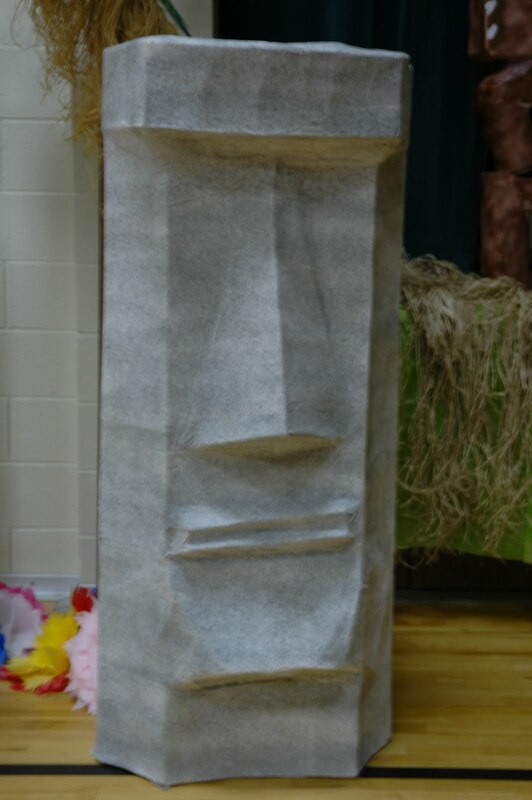 I loved this project and would do it again if there were a demand for giant flowers which will shrivel up at the slightest hint of water, fade in any kind of light or if I had a place to display 12 inch flowers. 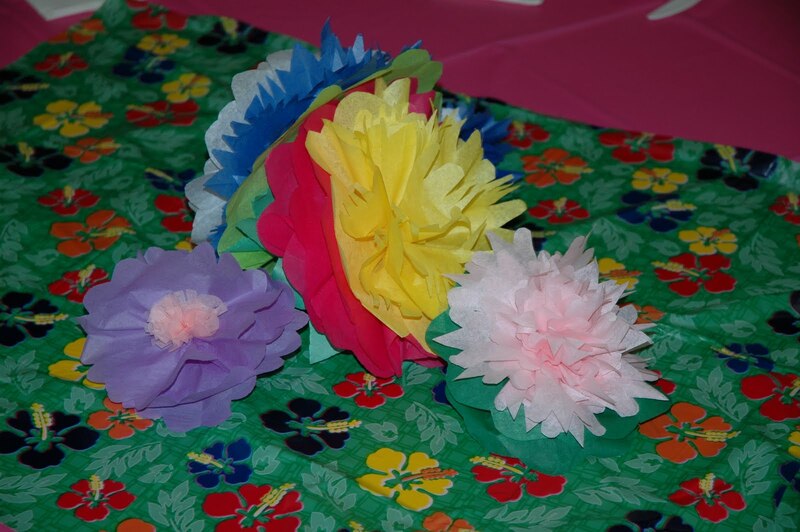 There were just simple flowers like we learned to make in grade school. I cut the paper into rectangles and then folded the rectangle in half and then thirds and the half again, just like folding paper to make snowflakes. You end up with a narrow triangle shape. 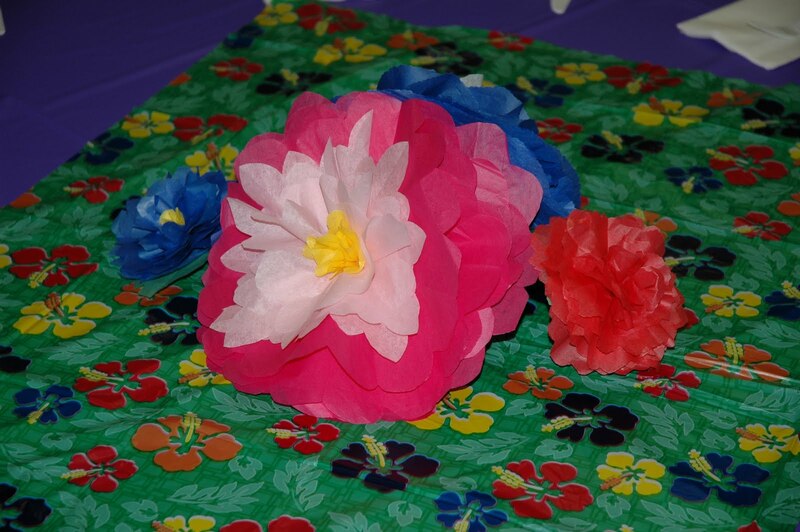 I would then trim the edges in different shapes -scallops, pointed, or fringy. I cut them in lots of different sizes. 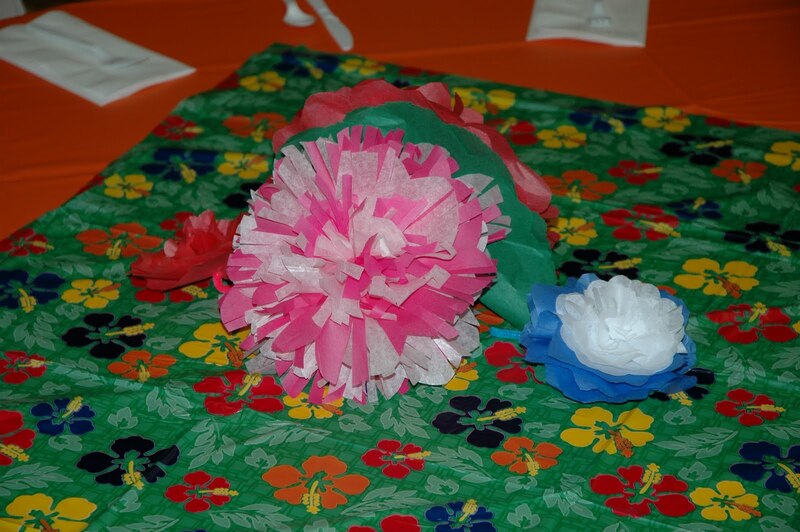 I unfolded the circles and once I had a gazillion pieces I started to put them together. I would stack 8 to 15 circles together and make two holes about 3 inches apart. I put a pipe cleaner through the holes and then cinched the paper and pipe cleaners until the holes were together. 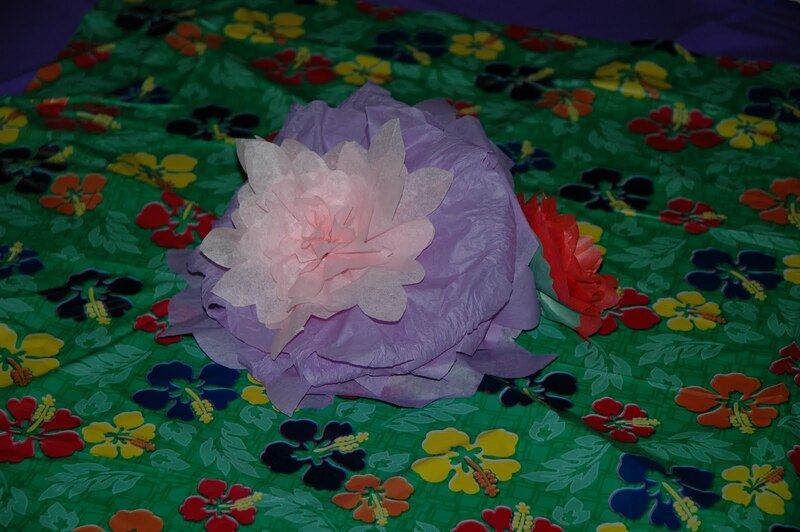 The next step is to separate the sheets or tissue paper to form a flower shape. 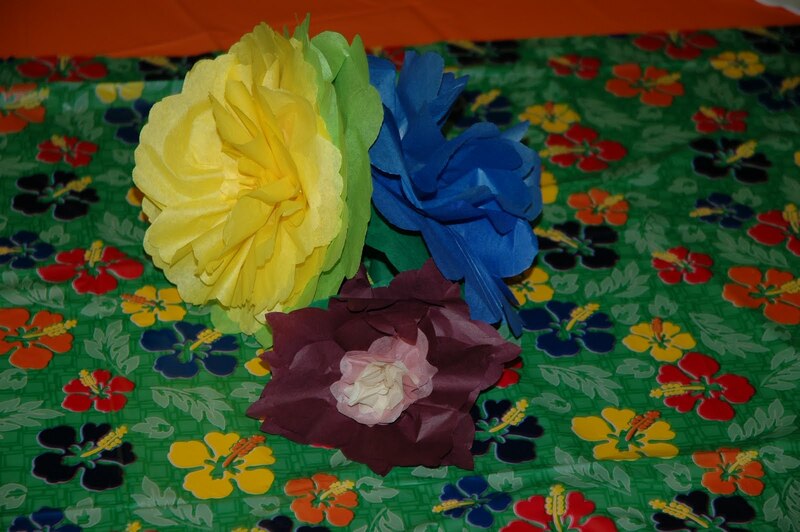 After the dinner, some sister gathered all the flowers to use for Girls’ Camp. I never heard what they did with them. 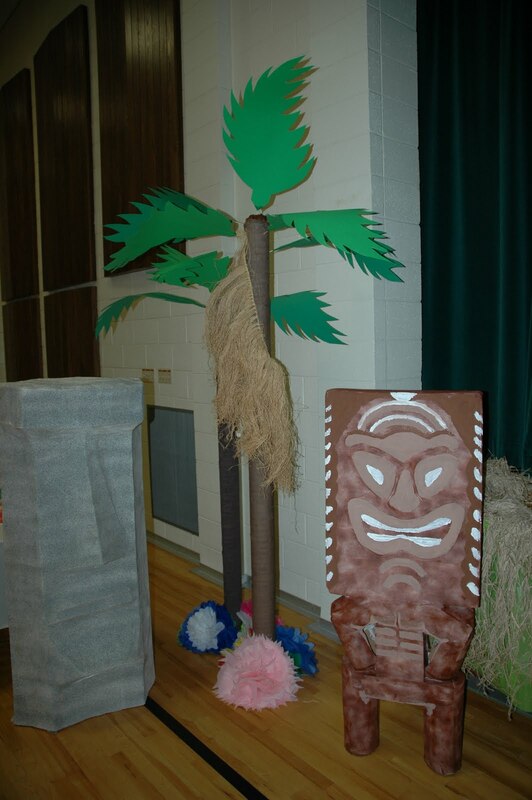 (Mark) We made the palm trees with carpet rolls and large fronds cut from poster board. 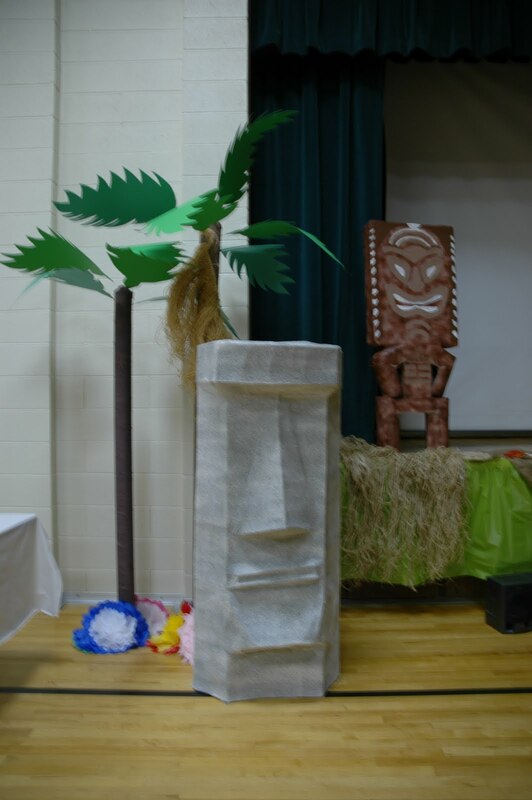 We covered the carpet rolls with brown crepe paper and attached the fronds to small wooden dowels to add support. We attached L-shaped shelf supports to the bottom of the trees to make them stand up. 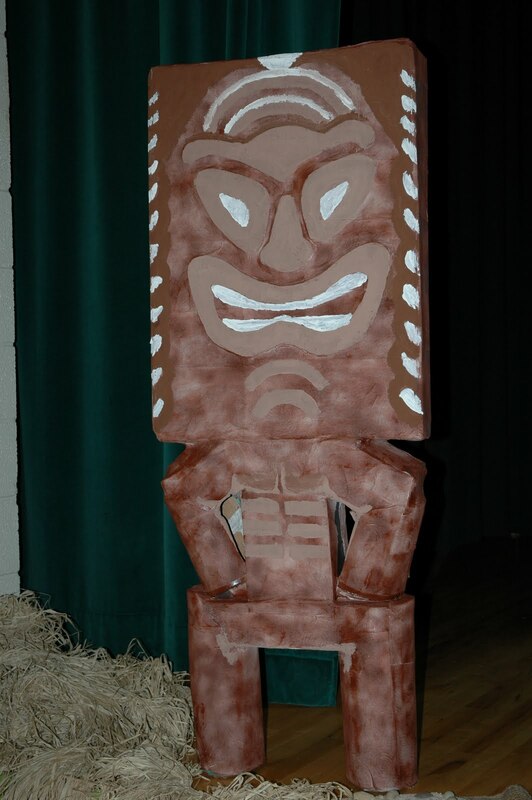 The tiki statue was make from cardboard and papier mache. We did a little research on face designs and copied one that didn’t look too frightful. Here, our main pieces gather for a publicity photo. They loved the limelight. Another shot of the main characters of the night. Such publicity hogs! 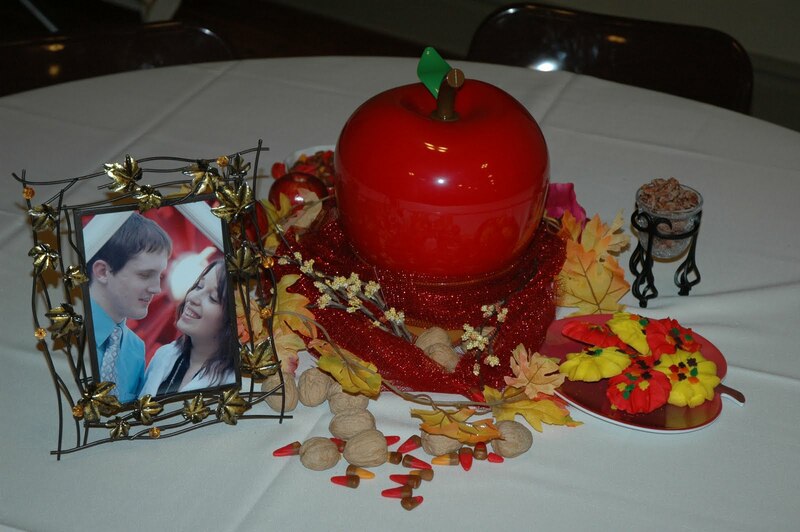 Here are the table decorations from the wedding celebration we had for Adam and Christine in Ephraim. 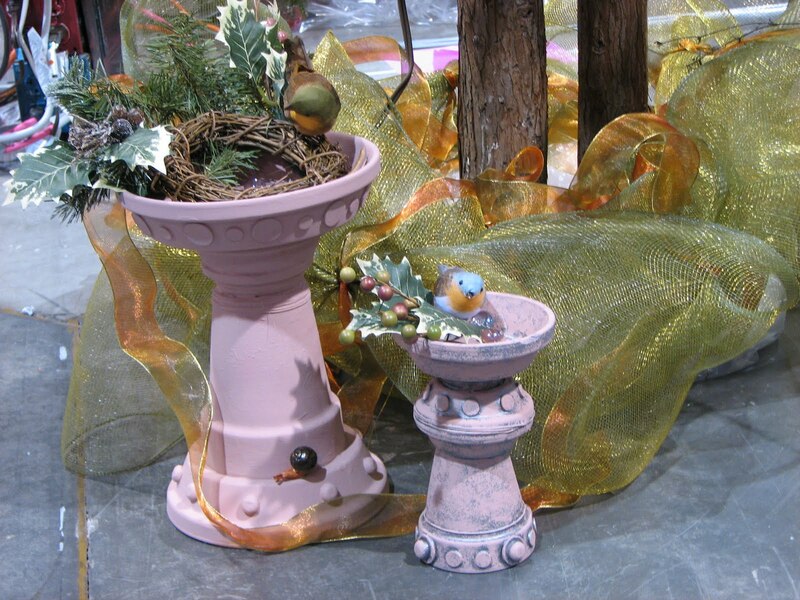 We wanted to do something informal and fun,where people could just sit and visit and enjoy each other’s company. 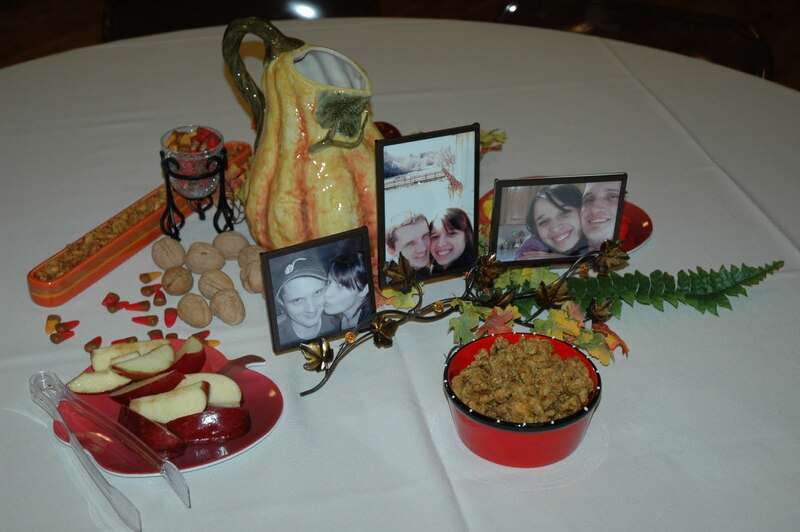 So we put food on the each table, besides on a serving table. 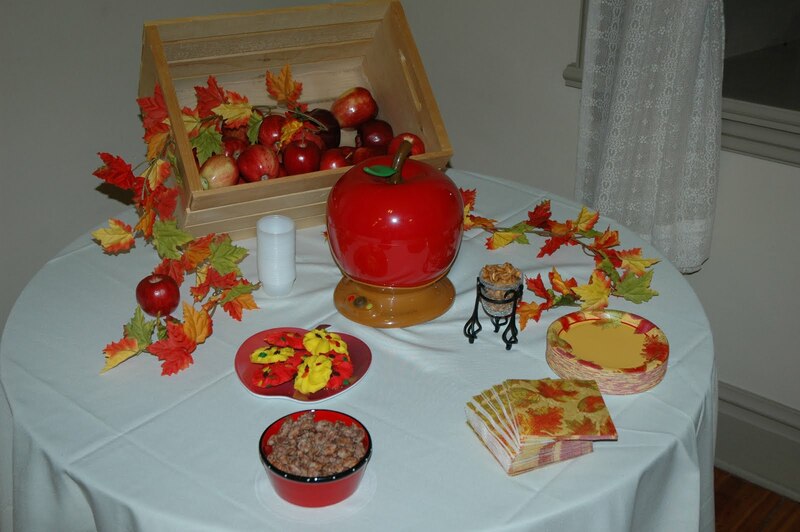 We decorated with apples, walnuts and candy corn. I found red and brown candy corn. And of course pictures of Adam and Christine. We stopped at the Red Barn in Santaquin and bought several boxes of apples. I also bought four big apple pots for melting caramel. 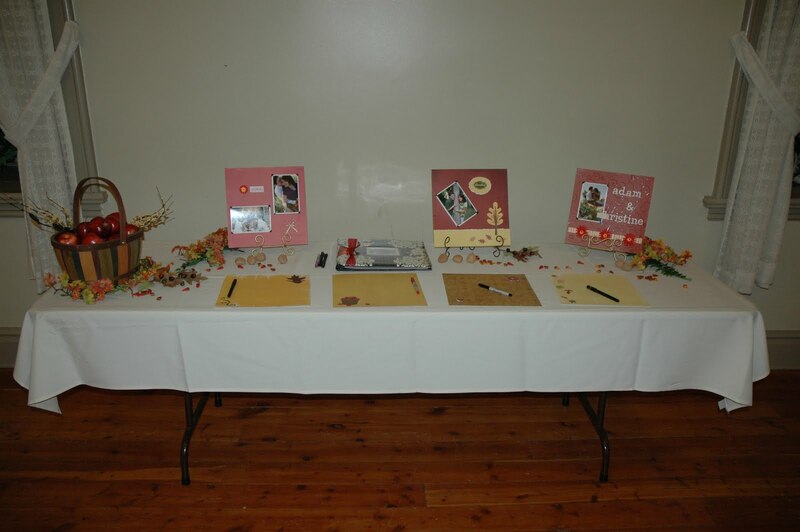 Catherine made pages for the guest to sign. They turned out beautiful. 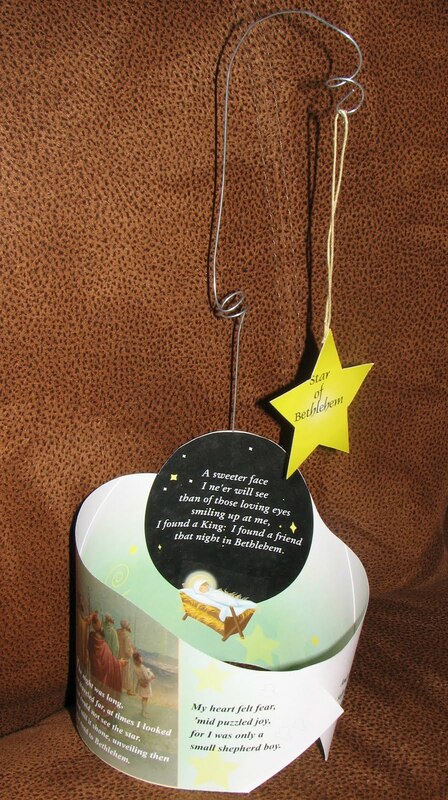 We used the song – SHINE FOR ME AGAIN, STAR OF BETHLEHEM as the theme for our Christmas party. I made a handout with the words to the song. My original thought was to do something to hold the plastic canvas stars, but I got really involved in this little paper sculpture and decided to hang little paper stars instead of the star ornaments. I created piece in Illustrator. I started with the clip art of the shepherds and choose the background colors to match. 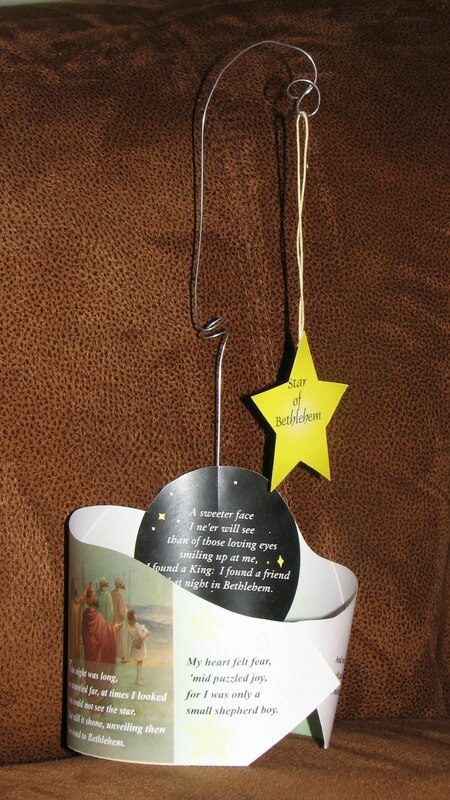 I figured out how to fold the paper so there would be two high points together that would hold a wire with the stars. I had to fold a lot of paper to get it right, then I had to figure out how to lay it out in Illustrator. The words to the song are written around the outside, except for the words about seeing the face of the Baby Jesus. I especially like the angel. I’ve discovered how easy it is to find and manipulate clip art in Microsoft Power Point. 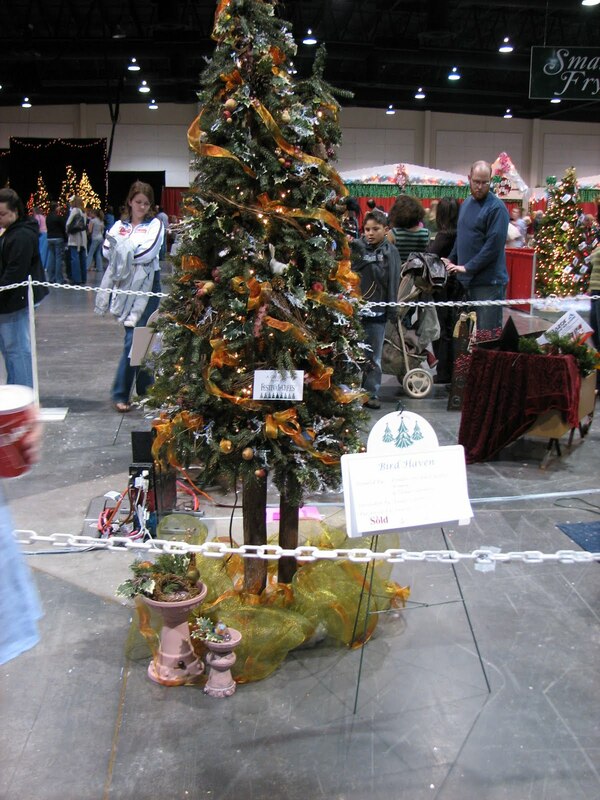 Click on -insert- click on clip art, do a search. Once you choose a picture, click on it to bring it into Power Point. Some of the clip art can be edit, so right click on the picture and look for ‘edit picture’. If it’s there, it is a picture you can edit. Click on ‘edit picture’ and all the parts are highlighted. You can move them around, erase them, duplicate them, etc. It’s lots of fun. On the angel, I took off the wings because we all know Mormon angels don’t have wings. I also copied the little clouds, resized them and added more. I made the colors a little more subdued. Here’s the cool part, when you’re finished, you can click on ‘save as picture’ and it is saved as a new file, (I think jpeg} that you can import into other programs. Here is the page I had printed to make the handouts. I was really quite simple. I did have to make a template to cut out the piece because I still can’t make the draw tool work for me in Illustrator. Side note: I did all the transparencies and gradients myself without calling Curtis once. I cut off the stars, glued them together and cut them again. I cut out the piece, folded it on the dark line, curved it around and secured it with one glue dot. It was that simple. The stars took more time than the base. I stuck the wire with the star in between the two sheets so the star hung over the manger. It was pretty tight, so I didn’t secure them. Here’s 75 of them lined up waiting for their stars. 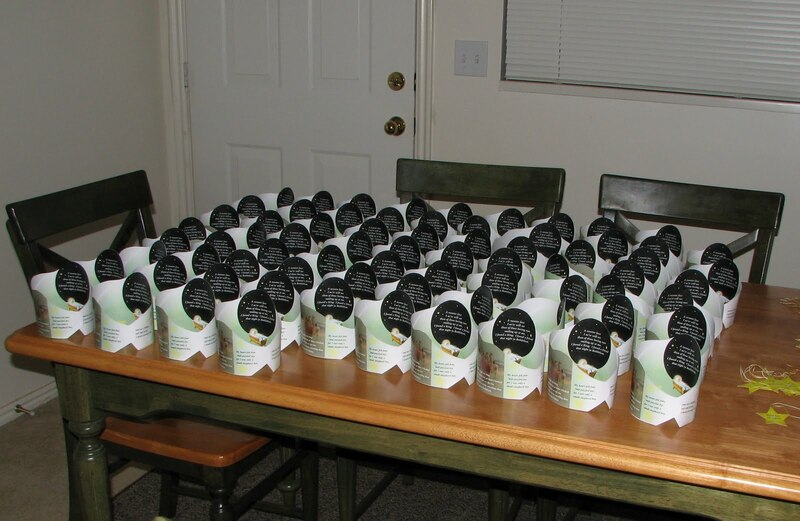 I made the handout with the idea that they would be placed at each table setting like, you know, a favor. 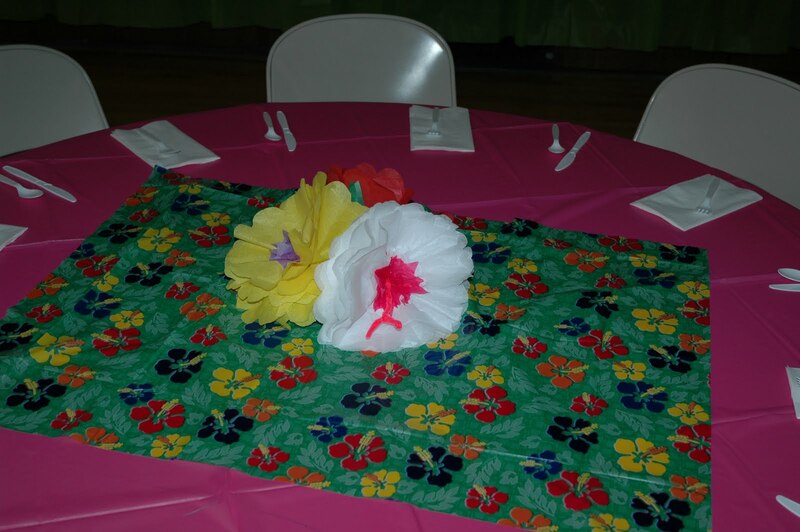 But it didn’t match the decor, so the committee placed them on tables at the front of the room. They were placed on two tables in front of the vents, so the stars were spinning the whole time. It was pretty funky.